Beginner’s Guide to Landing Pages - When to use a Landing Page and how to convert in 2018? Beginner’s Guide to Landing Pages - When to use a Landing Page and how to convert in 2018? - When to use a Landing Page and how to convert in 2018? When you’re new to online marketing it feels like you have to learn a whole new language. All of a sudden people are using words you don’t understand and you have no clue what, where or how this “thing” should fit into your online business. A landing page is one of those terms. 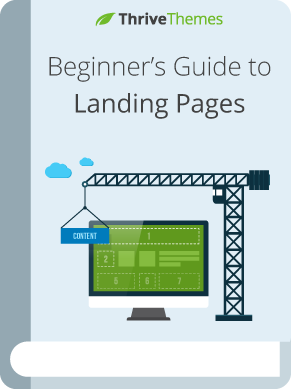 Many people use it, but what are landing pages exactly? When should you use them? Where do you host them? Do you need them in your business and how can you create one? If you’re asking yourself these questions, this guide is for you. No problem, you can download this guide in PDF format and go through it at your convenience. Just let us know where we should send you the link. Do You Need Landing Pages for Your Business? Where Should You Create Your Landing Pages? A landing page is a page for a precise audience with only one specific conversion goal. That’s exactly what people expect when they come to your site: browsing and looking around. But sometimes you do not want your visitor to browse around or be distracted. You want them to be focused on one thing and one thing only. That’s exactly when a landing page comes in handy. On a landing page there are no distractions. The visitor has only two choices: convert or leave. Deciding the conversion goal of your landing page will be the very first thing you do when you start thinking about landing pages. 02. What's a Conversion Goal? Think about a conversion as an action your visitor has to take. When you create a landing page, you’re going to first decide what the conversion goal of the page is, and then focus all the attention on getting as many people as possible take this action. When somebody completes the action (signs-up, purchases, schedules an appointment,...) they “convert”. Have you ever read a sales message and thought: “This is exactly for me and my situation”? That’s what you want to achieve with your landing pages regardless of the type of conversion goal. Often your offer can serve many different groups of people, but a landing page should only appeal to one of them. Imagine you’re giving access to a free video course “How To Stay Fit Without Going To The Gym” as an opt-in offer on your landing page. You’ll need different angles to convince these different people to sign up for your free video course. A landing page allows you to do just that: talk to one specific audience and ignore the rest. If you like success, you need landing pages. Companies with 40+ landing pages get 12x more leads than those with 5 or less. Because a landing page is built specifically for one conversion goal, it is very good at it. You will get higher sign-up rates on a lead generation landing page than on a normal web page. Sales will be higher on a purchase focused landing page than on a general sales page. This is why every business, including YOURS, needs landing pages. This conversion goal is probably the most common use of a landing page. We also call this landing page a lead generation page, a squeeze page or a sign-up page. These terms are synonyms and define a landing page with an email sign-up as conversion goal. 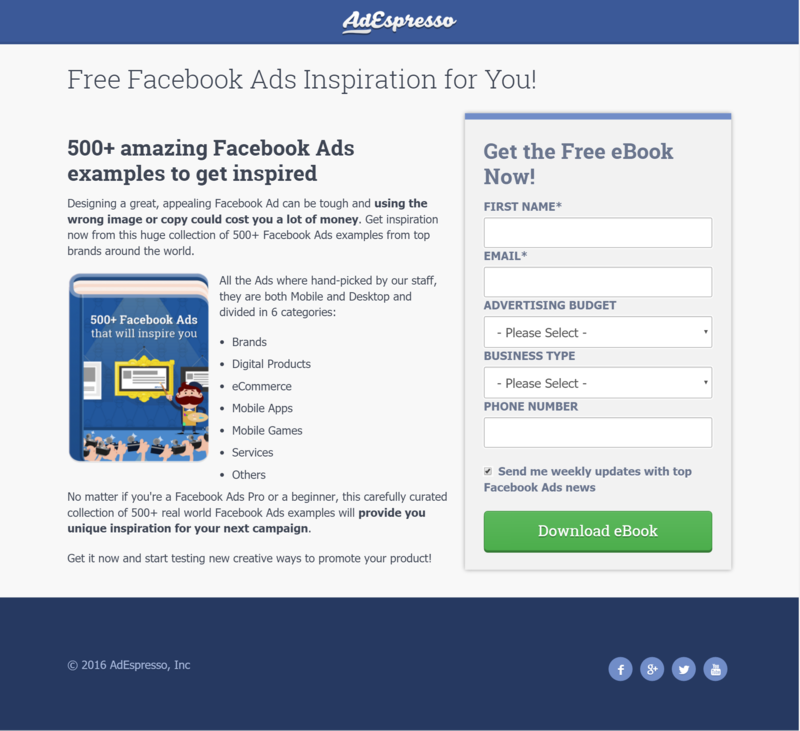 In this example, AdEspresso (who sells Facebook ads management software) offers a free ebook that is super valuable for their target market: people doing Facebook ads. If a landing page can have a purchase as conversion goal, what is the difference of a sales page? The answer can be found in the definition of a landing page: Only ONE specific conversion goal. When you create a sales page and the ONLY thing to do on that page is to purchase or leave the page, your sales page is indeed a landing page. Most sales pages on a website are not 100% focused on the purchase. You’ll have menu items, social media buttons, several different items to choose from, etc. 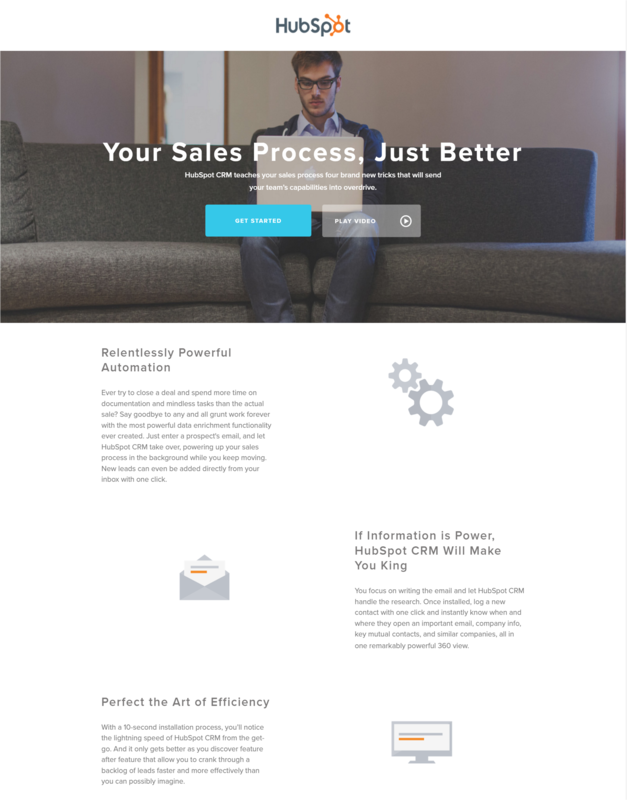 In this case the sales page is not a landing page. Take a look at the landing page from Hubspot, the only thing you can do on the page is "Get Started" or leave. There is one exception on the “conversion” side of the landing page definition. You can create a landing page with the sole and unique purpose of informing your visitors. In this case we can not really speak about a “conversion” but this is still a super focused page with only one goal. An example of this type of landing page is a coming soon page. When your website (or a specific product or service) is not available yet, you can put up a coming soon page. This page will inform the visitors about what’s to come and when to expect it. 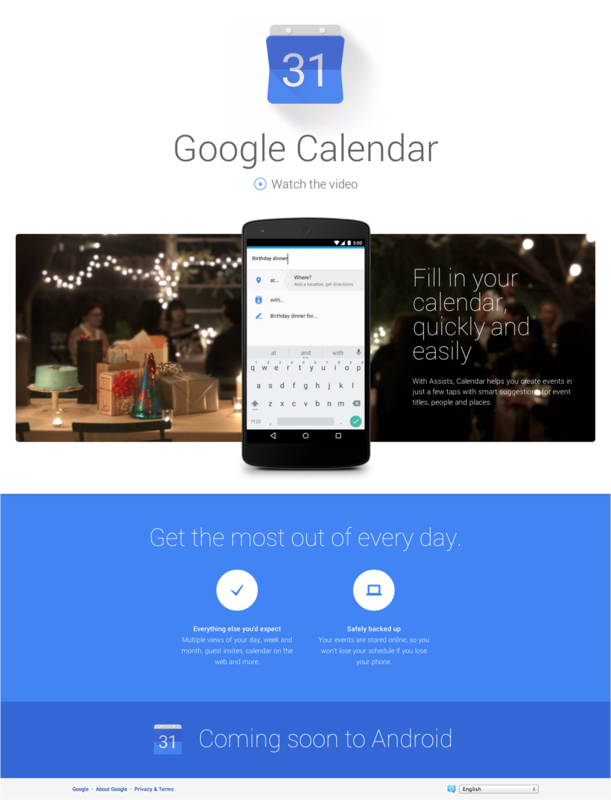 Pro tip: Put a sign-up form on your coming soon page and turn it into a conversion focused page. This will help you to launch as soon as the website, product or service is available! Another use case of an informative landing page is when you want to inform your supporters, fans, customers or stakeholders about the progress your company made. 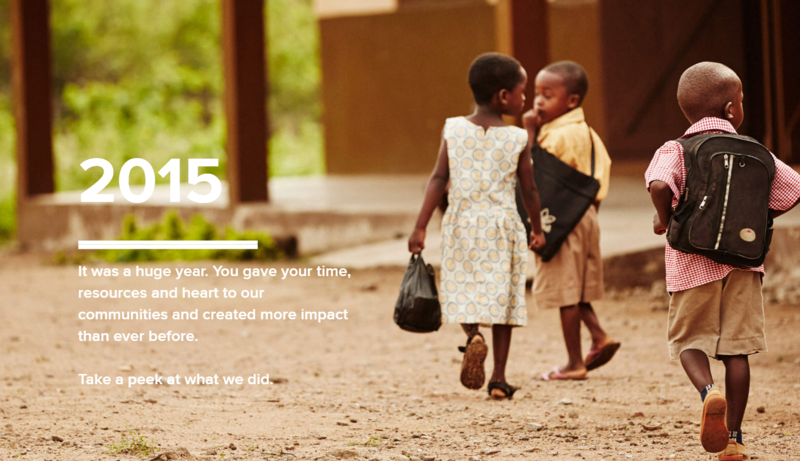 A perfect example of this is the landing page of Pencils of Promise and their annual report. On this landing page, they explain exactly what they did with the money they raised. In the following video you’ll discover the three types of landing pages we believe every online business should have. We’ve talked about sign-up pages, confirmation pages and sales pages, but that’s just the tip of the iceberg. We want you to start thinking about landing pages as important real estate online. Every time you want to speak to a specific audience and have them take action (sign-up, purchase, submit a form, …) you should build a new landing page. This means that some landing pages will only exist for a short period of time (an event page, a contest, …) and others pages will be there for the long term (a sign-up page, a sales page,...). Sending your paid traffic to a generic web page is throwing away money. The page you send people that click on your ad to, should match the message of the ad and be 100% conversion focused. Create a landing page with all the necessary information about the event or webinar and only have one possible action on this page; reserve your seat. 03. When you give away a free ebook/video course/guide/etc. Having a dedicated page for your opt-in offers, allows you to send traffic to this page immediately from all over the web (social media, guest blogs, ads,...) and get high sign-up rates. Even before the offer is available, you can create a dedicated landing page to give more information and get pre-sales or start a waiting list of people who want to be informed when the new offer arrives. Imagine somebody who just attended an hour long webinar and is ready to buy your product or service and somebody who just read a 140 character tweet about your offer. These people will need different (quantity of) information before converting. Create dedicated landing pages to send people from different engagement levels to. Sorry to disappoint, but there is no “one fit all” answer to this question. In general we advise you to put your landing pages on your own website. The main advantage of this method is that you own your landing pages, they are on your “property”; your own domain. But in some cases, it might be a good idea to do things differently. If you come out with a new product or service and this will be a big stand alone brand, you can purchase a new domain name and put a landing page on this new domain. You could do this temporarily (before building out a website and making the main URL a homepage instead of a landing page) or you could keep the main page on this website a landing page. If you do not have your own website on your own hosting, you can use a hosted solution for your landing pages. This solution has the advantage of being easy and quick to set up, but don’t forget that you’re building your business on rented property. Most of the hosted landing page solution have monthly fees and the moment you stop paying, you’ll lose your landing pages. 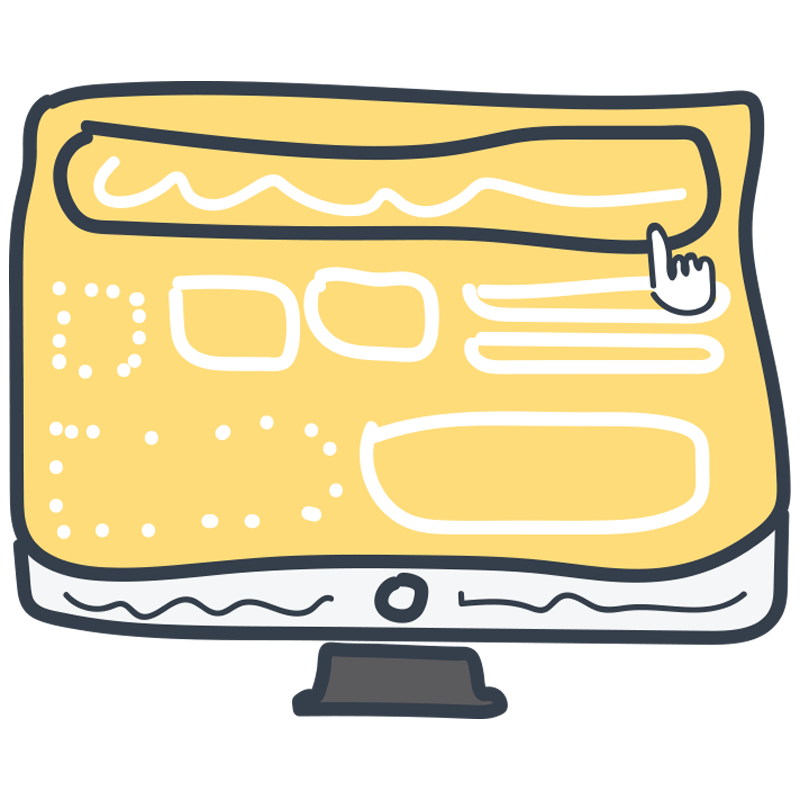 Landing pages can be a huge asset for your business, and you shouldn’t shy away from creating a bunch of them. To make that process easy and quick, you’re going to need a powerful tool. A used to always create a landing page with a bribe to get leads. I’m finding that I’m not sure when I should build a landing page and went I should just use a lightbox or scroll mat. When is a landing page more effective than some type of pop-up offer? A landing page is perfect if you’re sending people directly to that page (eg. from social media to get your bribe or from a link in an email etc.). When people are ALREADY ON YOUR SITE, sending them to a landing page is an extra step to take and might cause a drop in conversions (because you’re sending people away from what they were originally doing). In this case, using a lightbox, scroll mat or other type of opt-in form will be more efficient. Think about it in number of steps (or clicks) and time it will take. When reading a blog post and seeing a link for a bonus, it’s more convenient that that links opens a Thrive box, rather than sending them off to a separate landing page because the landing page will have to load, they might have to read more copy, etc. But when somebody clicks on the same bonus link from Facebook, it is better to send them to a specific landing page so that they do not have to search for an opt-in form when they arrive on your website. What about hosting a landing page on a sub-domain (www.yoursubdomainname.yourdomainname.com)? Pros and cons as compared to http://www.yourdomainname.com/name-of-landing-page? This is mainly about speed and convenience. Imagine setting up a landing page for a “productivity checklist” if you want to use a subdomain this would like something like: productivity-checklist.mysite.com but you would have to set this up on your hosting account, you would have to create a new WordPress install, etc. The only time that it would make sense to create your landing page on a subdomain is when you create a sales landing page and you want to give a “new home” for this product. So imagine you’re selling a new supplement for your fitness brand. In this case, having a subdomain with a new WordPress install would alow you to create a separate mini-site for this product. So in short: 99.9% of the time I would not create landing pages on a sub domain. I have a concern about landing pages. If a visitor ends up on the wrong landing page, they don’t have a clear way out (apart from the back button). Let’s look at this the other way around. Imagine you’re keeping your sidebar and your top menu… Many people who arrive on the landing page and would be interested to buy or to sign up will be distracted by all the other actions they can take and will NOT take the action you actually desire the most: the conversion. Maybe they clicked a link from within you site: hitting the back button would lead them back to your site so that’s not a bad thing. Maybe they clicked on a link to get your opt-in bribe from social media: In this case they are expecting to see a lead generation page or even a sales page. If they do not like it, they leave and go back to social media. But this is not really a bad thing either, next post they see from you might be a blog post and they’ll click on that one and read the blog. What I’m saying is that the purpose of a landing page should not be “have people browse around on your website”. Now, if you really want to give a “way out” adding a link in the footer can be a subtle way to give this without distraction. As a follow-up to Phil’s question and your response, what are your thoughts about ‘upside don landing pages’ with a menu block at the bottom of the page? Gives a way to selected other parts of your site, but only after the reader has passed your CTAs. It’s easy to set these up with TCB. What is the best way to get people to your landing page? Internal link, pop-up, sidebar ad, banner ad? If it is a sales page for one of your products on your website, where would you put a link to the landing page? If you offer different colors of your product would you include all colors or just try and sell one color? Can you combine a list-building giveaway and sales page or is it best to just have one or the other? – The best way to get people to your landing page is the way that gets you traffic. This could be social media traffic (paid or free), someone sharing your landing page with their audience, email etc. But for a sales landing page, all of the things you’re suggesting are solid ideas! You can show the offer in a lightbox, a ribbon, a slide-in, an exit intent lightbox, the sidebar etc. – I would give different colors as an option just before buying (different buttons for each color or a dropdown menu if you’re using a native PayPal button). A fun thing to do if you have a product with multiple colors could be to test if this has any impact on your conversions. Imagine you’re selling drink bottles. You could have a sales landing page targeted to a male audience and feature the “male colors” in the pictures and make sure the copy talks directly to them. Then I would make a separate landing page targeted to a female audience and feature the “female colors” in the pictures and mix up the copy etc. Off course this is something you can only do when you know your audience (so either if you send people from a segmented email list to the landing page or if you’re using paid traffic such as Facebook ads). Great write-up. I’ll say that probably the biggest challenge for me with landing pages is when the business product/service is such that one landing page will never do the trick or provide enough info. Therefore I have an offer or conversion opportunity there, but I’m also using it to really frame the conversation and funnel them to the right info in the site. For example, when promoting a high-end town home development, my landing page offer might be to schedule a tour or download an ebook on renting etc. – but likely the user isn’t doing to agree to any of that until they see if the town home meets their basic needs – what do the floor plans look like, amenities, price ranges etc. So the “convert or leave” approach doesn’t always seem like a good fit. Thoughts? Now the question is, what would be valuable for each of these groups to move them up into your sales funnel. At that point, you know that that person is interested in buying to rent out. This will allow you to change the way you follow up with them to talk specifically to his needs. But for someone who is looking to buy a house for the family, the most important thing to know might be “What Town to Choose” or maybe “What Community Would Fit Me”. Again, this is not about the house, it’s about finding those people who are interested in coming to live in the communities you serve. Like you point out, selling a house on a landing page is close to impossible but maybe you do not need to try that. Try to reach the potential client with something of interest to them and let the follow-up/tour/… do the rest of the work. Just one quick note, a landing page does not have to be short! I’ve seen sales landing pages that when transformed into PDF were over 30 pages. What makes it a landing page is not the lenght of the page, it’s the fact that the only thing they can do is buy. @Hanne and @Ken L : I have been building websites for real estate agents for a long time, teaching courses to getting listings online for real estate agents, conversions, etc. I don’t know if Ken is in the U.S. or not as I can speak to the U.S. market. Consumers in the market to buy a home are not interested in opting in to even see your listings. They will just go to the free sites, that rank at the top of Google, like Zillow and Trulia. Why should they waste their time optin in and giving out their email address in order to look at a townhouse for sale, if they don’t have to? People take the path or least resistance. You can think of some good offers to offer on a landing page but how are those going to be converted into buyers? And how do you segment them based on geo tags? You see, that is a lot of work even on your part. If you go for an offer like how to choose a community… you would have to put in a geo tag in order to call out to only those interested in your area. Otherwise you are getting a bunch of useless names on a list that is not even your market. I have not yet seen any real estate offers for buyers or sellers ( outside of investors and wanna be investors) that convert for the optin to see houses, or photos. I will say that if you have a landing page for hot deal alerts for your geo targeted market area and then send those people a list each week of the hottest listings – that will work. But if you are marketing a listing or a townhouse project, stick to giving lots of good valuable content- lots of images, videos, no optin required, call to action should be for the buyers to pick up the phone and call you. The best leads in real estate are those that call you! I set up all my content for the phone call. If you get them on the phone, you will convert them. Why do all that work over email only for another agent friend of theirs, their mother, whoever, to be the one who writes the contract? Thanks for the suggestion. We’re actively working on making content to guide you through the whole suite :) I’m not entirely sure about the form of this content (Thrive University courses, guides, webinars,…) but we are aware of this need. I would love to see which “building blocks” like CTA, Money-Back Guarantee, Bullet Points, and stuff like that you would recommend, and in which order. Especially on Click-Through Salespages. Maybe even depending on pricing range? Thanks for the suggestion. Have you followed the Rapid Landing Page Thrive University course already? This one gives you exactly what you are asking for for lead generation landing pages and for sales pages. This is again so well explained ! I use often light boxes for ebook downloads… instead of landing pages. Is it correct to say that landing pages with bribe downloads are recommended over the use of lightboxes,…especially if you want to measure these as goals in Analytics? To be able to account a signup as a goal in Google Analytics, you need a “goal URL” this would typically be the thank you page after signup. This means that it would not really make a difference between the lightbox (that goes to a thank you page) or the landing page (that leads to a thank you page). The biggest difference is when you want people from OUTSIDE your website to opt-in. Eg. When you’re paying for traffic. In that case you do not want them to arrive on your site and wait for a light box. Thanks. I guess this is basic stuff for experienced developers. I’m not and these basic guidelines are actually very helpful. Do you have suggestions how to seperate between different target audiences coming from a informational page or post to a dedicated lead/ sales page? My purpose It to learn who my audience is and what their specific questions are to improve the page and generate better products. Happy you find this helpful. About your question. It’s pretty hard to segment your audience if they are coming from internal pages on your website… If you’re looking to learn more about your audience, I suggest you look into the possibility to have a quiz on your website to get insights or to use multiple-choice opt-in forms so that you first segment your email list and then you can send them to a targeted sales page. We’re always adding landing pages and to see the latest once, you can go to the tab “Templates cloud” in Thrive Landing pages plugin. Some legal pages like Privacy, Terms, Disclosure are must and preferably added to the Footer. These won’t be distracting either. Just a point. I’m new with Thrive Themes and I’m very grateful for the wonderful resources you folks provide. I have a site with a landing page with the conversion goal to get sign-ups for a free guide. In my blog posts, I mention a certain product that would be helpful and is relevant to the post. I have a link to a review of the Product on the “Products Page”. The Products page has the Thrive Themes TOC. My question: Should I instead make a separate “Landing” post?/page? for each individual product? At the moment, all products are from Amazon and are “Reviews”. Thank you again for the great material and helpful comments. I think this depends on the extensiveness of your reviews… if it’s just a few paragraphs (less than 1000 words) I don’t think it is useful to put it on their own page/post. That being said, I encourage you to make longer reviews and have them on separate posts or pages because that can also help with SEO. But for now, you can also link to the correct part of the review page… Click on the title of the product you want to link to (in your product review) in the ID field you’ll find some text (because you have a table of contents on that page) now if you want to link directly to the correct part of the review page, put this as a URL: http://www.yourwebsite.com/product-page/#ID (off course product-page would be the real name of the page and ID would be the text you found int the ID field. Great guide (as always). What’s the difference between a landing page and a post page? If the landing page is supposed to be a focused, distraction free web page with the sole purpose of conversion…then I’m confused as to why you would you would have the landing page connected to your home page? For example: http://www.myhomepage.com/my-landing-page …would people see that your real website domain is: http://www.myhomepage.com and just figure out how to go to that page…hence, more distraction? I understand that this is easier to create, but doesn’t it also create the distraction that we are trying to avoid with landing pages? Yes, you have a point and some people might do that. But I think you’re taking it a bit overboard here. The solution to this problem is to buy a brand new domain, install WordPress and all the tools for a single landing page and for every landing page you want to create. This just isn’t feasible. Thanks Dave…So you’re saying that it’s not that we NEED to hid our main website, because this WILL be apparent when they come to our landing page. But, you’re saying that it’s more important that the landing page ITSELF is distraction free in order to get a conversion? I am new Member, 50 years old, CEO of Compan in Switzerland, 6 years Experience in WP. You guys, you confuse me. You tell everything should be so much easier but just do start with your Stuff its simply confusing. You offer to much, every Page is overloaded with Information and Sale, too much TEXT TEXT TEXT. What you wanted to avoid, you created. Your biggest Weakness is Structure. In Videos, in Pages, in Content. Your are in all a touch too much. Sorry to hear. We do our best to have comprehensive guides and tutorials to get you started quickly. Where Should We Send the PDF? Send Me the PDF Version! Enter your Name and Email and Discover How to Build Landing Pages in Record Time!